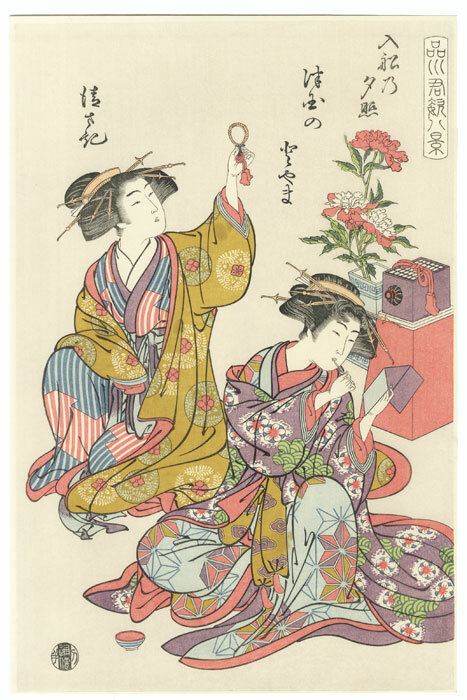 Beauties with Hand Mirrors - Lovely image of two beauties in private quarters, each looking into a hand mirror. 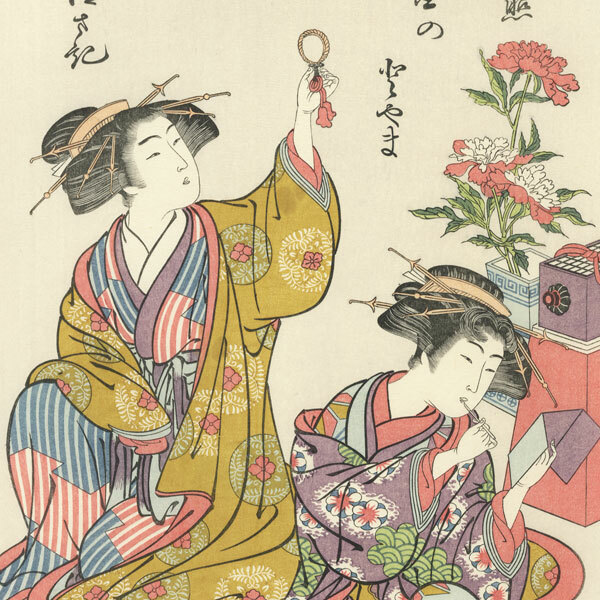 The beauty at right uses a brush to apply lipstick, a small bowl of pigment on the floor nearby. Her companion holds a small round mirror in her outstretched hand, the handled tied with tasseled cord. 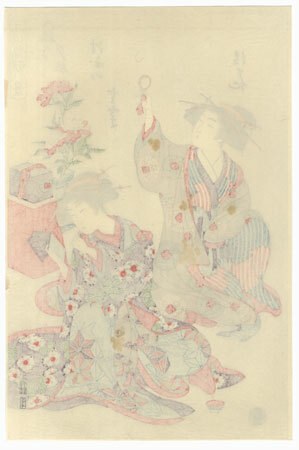 Both women are elegantly dressed in several layers of colorful patterned kimono. A stand at right holds an arrangement of blossoming peonies in a blue ceramic pot. An attractive design, rarely seen in reprint.